Remove all the sides of bread slices with the help of knife. Take a bread slice and apply a thick layer of melted chocolate. Sprinkle some crushed dry fruits and crushed biscuits on chocolate. Put another slice of bread over it; this sandwich is ready to go in sandwich maker. Apply butter on both sides of the sandwich maker, put sandwich in it. The combination of hot chocolate with dry fruits and crisp bread sends you on the seventh heaven. Ingredients for Ice Cream Chocolate Sandwich; Coco Powder had no roles to play in the recipe. 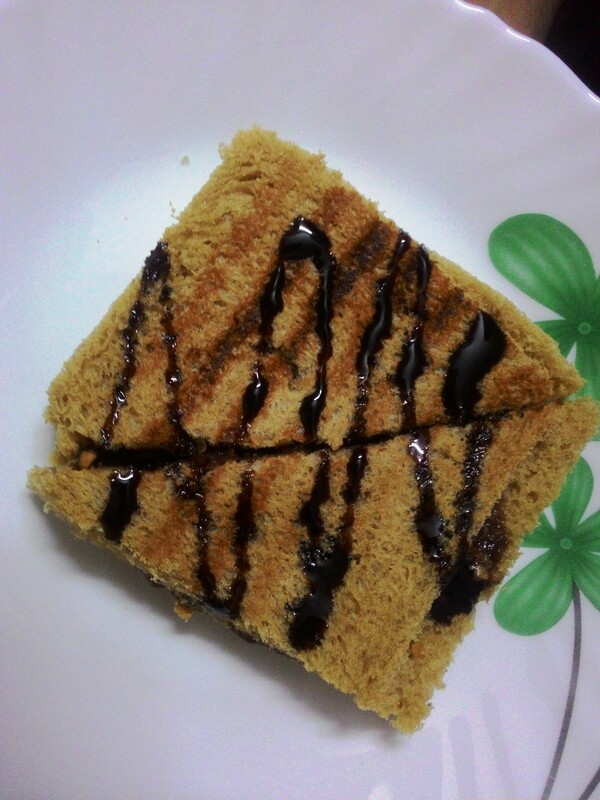 Make Chocolate Sandwich with the above method. You need not pour chocolate syrup on the sandwiches right now. Toast 2 pieces of bread slices and make toast, it should be slightly crispy. Cut 1 thick slice of ice cream. 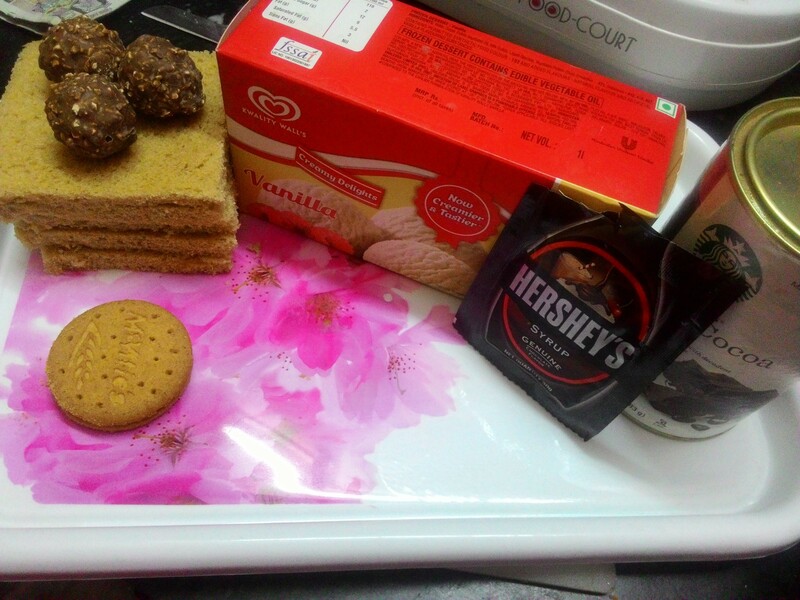 Put this ice cream slice on the chocolate sandwich we have already made. 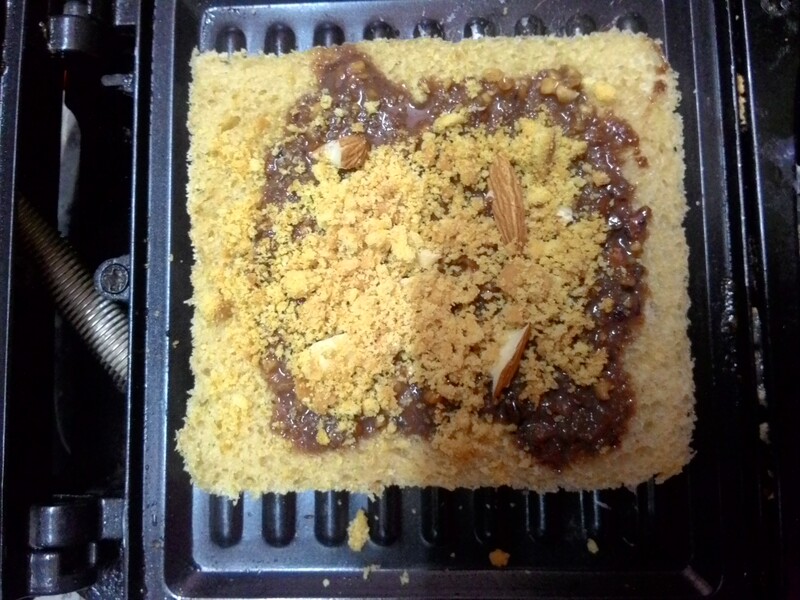 Sprinkle some crushed dry fruits and biscuits on it and cover it with the toasted bread. Repeat the same for other breads. Ice Cream Sandwich is ready! Put chocolate syrup over it, sprinkle more crushed biscuits and have this magical combination. Tips: The melted chocolate shouldn’t be hot; If you have frozen chocolates at home, add 4 tsp milk and then melt them. Advice: Save the sides of the bread and make bread poha later sometime in breakfast!